Wilhite: Moves from CEO to board room. Steve Wilhite -- a former U.S. marketing executive at Hyundai, Nissan and Volkswagen -- is being replaced as CEO of online advertising company Jumpstart Automotive Group. Wilhite will be succeeded by COO Dillon McDonald in January, Jumpstart said in a statement on its Web site. Wilhite will remain with the company as an adviser and board member. 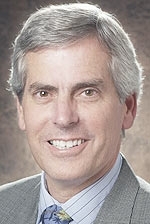 Wilhite quit as Hyundai Motor America's COO in September 2007. He joined Hyundai in 2006 from Nissan, where he oversaw the launch of the "Shift" campaign. As vice president of marketing at VW, he directed the introduction of the New Beetle and the launch of VW's "Drivers Wanted" campaign. Jumpstart matches advertising with auto enthusiast brands across Web, print, and mobile platforms.